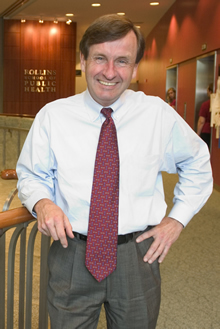 In 1995 James W. Curran was appointed professor of epidemiology and dean of the Rollins School of Public Health. Graduating from the University of Notre Dame, he received his MD from the University of Michigan and a master of public health from Harvard University. 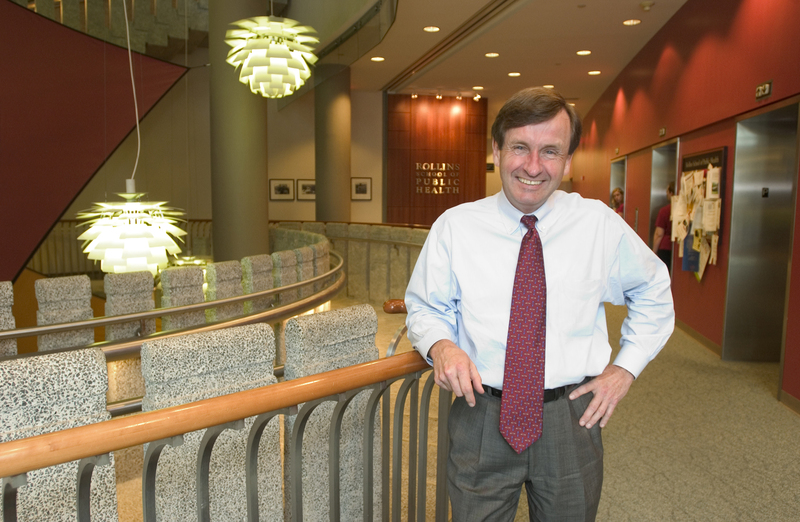 In 1981 Dr. Curran coordinated the task force on acquired immune deficiency syndrome (AIDS) at the Centers for Disease Control and Prevention (CDC) and then led the HIV/AIDS Division. While at the CDC, he attained the rank of the assistant surgeon general. Dr. Curran is a fellow of the American Epidemiologic Society, the American College of Preventive Medicine, and the Infectious Diseases Society of America. Author or co-author of more than 260 scholarly publications, he was elected to the Institute of Medicine of the National Academy of Sciences in 1993. He was given the Surgeon General's Medal of Excellence in 1996 and the John Snow Award from the American Public Health Association in 2003. Medical News Today - "AIDS Pioneer Honored With National Award"